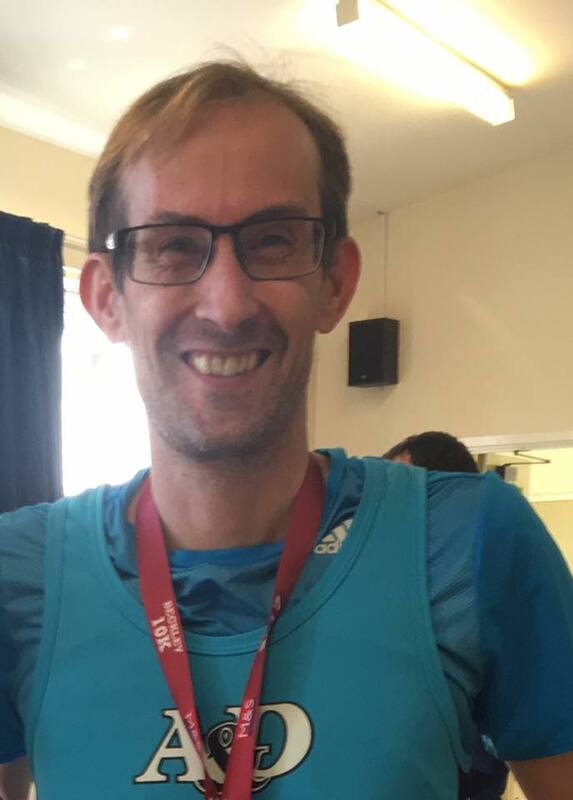 Club stalwart Keith Haynes produced an impressive run at the Beckley 10K on Sunday. Keith finished in 7th place overall, 1st in his age category with a time of 41:16 over the difficult hilly course. 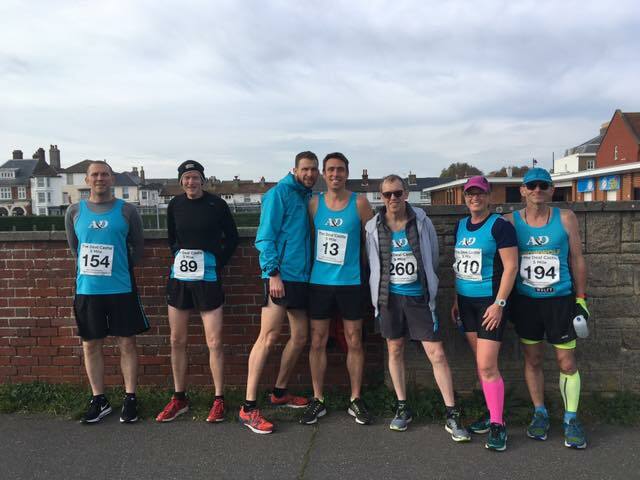 There was a good representation from the club at the Deal 5 mile race. Jon Pearce was first home in 6th place with a time of 28:37, closely followed by Dan Green in 11th place with 29:13. Rob Barton and Paul Moses battled hard throughout the race and were both rewarded with personal best times of 31:13 for Barton and 31:18 for Moses in 21st and 23rd place respectively. Stu Nunn, returning from injury came in in 97th place with a solid 39:50. Shaun Snowwolf-Harris was 124th with 41:27. Lucy Johnstone, the sole ladies representative had a pleasing personal best time of 45:57. Rick Holden completed the Thames Meander Marathon in a time of 3:45:15. Ashford parkrun drew a number of A&D runners along to Victoria Park. Tom Green first home in 19th place in 21:37, with James Chapman running a PB in the same time. Followed by Dan Green 21:38 (21st), Rob Carpenter 22:02 (26th), Fred Sellen 23:04 (43rd), Ian Grundy 23:27 (48th), Shaun Snowwolf-Harris preparing for the Deal 5 mile race with a personal best of 24:04 (53rd), Chloe Green 24:42 (73rd), Claire Green 24:44 (74th), Gill Pragnell 24:48 (77th), Lesley Moody 31:17 (181st), Rachel Jenkins 32:28 (200th), Sarah Taylor 32:47 (203rd), Emma Jenkins 32:52 (204th), Deborah Payne 33:35 (209th), and Becky Hodgson 35:07 (222nd).